Spiral House delves into its upcoming crowd-funded fantasy adventure. The machinations of the new Square Enix Collective are intriguing to say the least, offering publicity to indie efforts with approval for the same dictating their future on Kickstarter or Indiegogo. Such is the case of Spiral House’s Troll & I but the story behind the action adventure is much more complicated than that. It’s concept explores the use of dual protagonists while taking place in the relatively real setting of Scandinavia. Obviously there are tons of questions to be had. Which is why GamingBolt had a chance to speak to Spiral House creative director Kevin Oxland, technical director Bobby Earl and assistant producer Amy Scott about the concept of Troll & I, the kind of gameplay gamers can expect and when we can expect the crowd-funding campaign will go live. "Essentially without giving too much of the story away, our heroes are on an adventure through a vast expanse of land across Scandinavia. Therefore you will see varying environments including delving into the Troll world where things are a bit more fantasy-esque, and BIG!" Troll and I is a very unique concept, meshing gritty realism with fantasy elements. What served as the inspiration for the setting? Silver was the first game Spiral House worked on back in 1999. It was a multi-character based RPG where the player could swap characters at the click of a button. We wanted to go back to that and create a dual protagonist game with two very strong characters in their own right. Not only would the characters be pivotal to the story, but would have a real presence in the gameplay too. At the time of Troll and I’s conception, our Creative Director, Kevin Oxland, had an idea for a story about a Troll community living in Scandinavia, and a billionaire man who has a bit too much time and money on his hands who wants to catch a troll for his collection of rare animals. Both of these ideas came together to make the story of Troll and I. Tell us a bit more about the environments we’ll be exploring. How much of the world is mired in reality and how much of it delves into the fantasy realm? You can actually get a sneak peek of some of the environments via our website. Essentially without giving too much of the story away, our heroes are on an adventure through a vast expanse of land across Scandinavia. Therefore you will see varying environments including delving into the Troll world where things are a bit more fantasy-esque, and BIG! Experience tells us that friendships between men and monsters often go awry. Will we see something similar with Otto and the Troll? If so, how does this play into the overall journey they embark on? There is no such thing with our two heroes. They are both in their infancy, and rely on each other to survive. Their relationship will not go awry, but there are plenty more dangers out there to keep the duo on their toes. The player will experience the emotional journey the two characters go on as they come to discover each other, their worlds, and become great friends. Can you tell us a bit more about the game’s factions and how they factor into the story? Unfortunately we cannot say much without giving away a central point of the story. All I can say at this point is that a disaster happens very early on in Episode1 which opens up portals to a different world, leaking monsters into ours. This gives a whole additional ‘quest’ and enemy types into the game! "We have a plan for crowdfunding all set out and ready to go. However, we have not decided yet if crowdfunding is the route that we are going to take. We should have more information in the coming months." What can you tell us about the current combat system? We’ve seen Otto rely on quick slices while Troll smashes opponents. Will there be room for joint attacks or any special moves? Otto is more suited to melee, ranged combat and stealth due to his size. 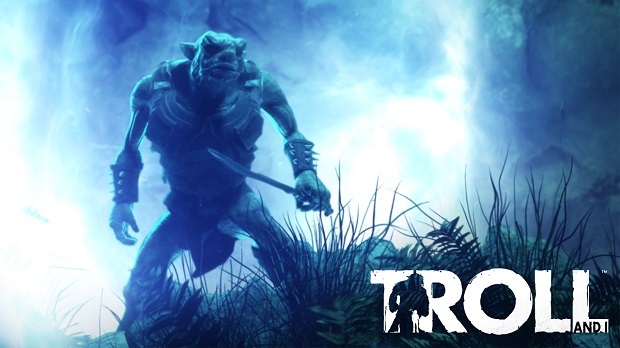 Troll is a beast with massive power behind him, but he is cumbersome and slower. They are both young and learning much, so their skills and abilities will grow as the story progresses. There are many facets to the game, one of which being the combat system; both melee and ranged. We’ve designed the game in such a way that you, the player, could choose different ways to approach every given scenario. For example, you could go in as Otto, brandishing a machete, ready to take on whatever comes his was in a melee situation. Or you could sneak in as Otto, and stealthily move around the scene taking out the bad guys as you go. The stealth approach requires patience, skill, and keen observational skills in order to avoid being spotted. You could instead go in as Troll, and ask Otto to stay behind. 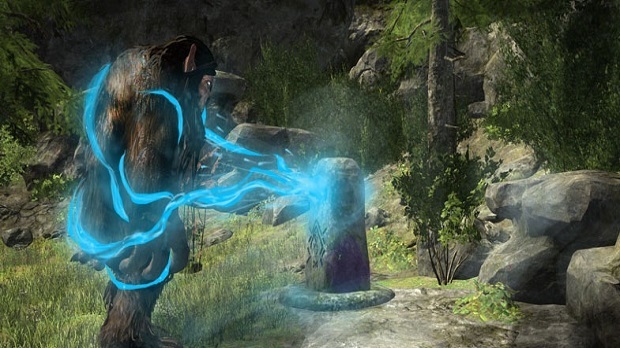 Using Troll’s brute strength you could pound your way through a combat scenario. Or you could also go in as both characters and fight as a team. Each method has their pros and cons, and some areas are designed with a particular approach in mind. It is up to the player to work that out, but we have not made other approaches ‘impossible’, just more difficult. For instance, taking Troll though a stealth zone is probably not a good idea, especially when enemies with old WWII sirens in the vicinity! What is the current status of Troll and I’s crowd funding campaign? When can we look forward to it? We have a plan for crowdfunding all set out and ready to go. However, we have not decided yet if crowdfunding is the route that we are going to take. We should have more information in the coming months. 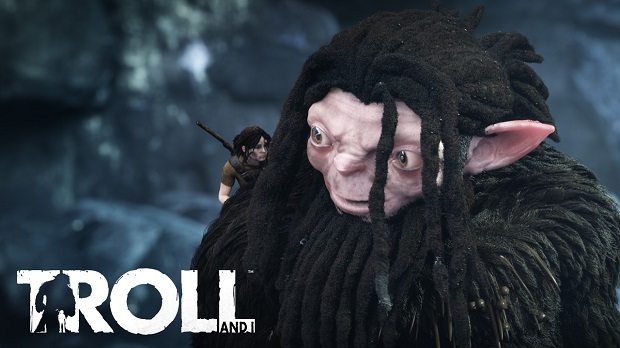 Troll and I takes an episodic approach to its storytelling which has proven to be quite successful for a number of titles. How did it benefit the development process and the overall presentation of the story? We wanted to create something of quality and something that stood out in its own right. However, we couldn’t do a tale such as ‘Troll and I’ as an entire ‘normal sized’ game in the timeframe we have due to our team size. So to retain the quality, we decided upon an episodic approach with the design and story being designed with that in mind from the ground up, rather than breaking up a whole game into pieces. Each episode works on its own and as part of a greater whole. The development has been a refreshing change actually, because even though we have the entire story arc written, we can really focus on each episode in lots of detail before moving onto the next. Will players have absolute freedom in choosing how they want to play the game? Can they opt for a variety of approaches due to the nature of the two protagonists? As previously mentioned, players will have freedom to play the game how they want, but some approaches will be much more difficult than others. In regards to the puzzle elements and the combat, you will have to learn each character’s strengths and weaknesses and use these accordingly. "Troll and I is currently targeted at 1080p / 30fps on both consoles. The 30/60 fps debate has been ongoing, and for some 3D action games, especially ones such as Troll and I where you want to also tell a cinematic story, 60fps may not give you the best viewing experience." Will Troll and Otto be available at all times or will there be certain missions wherein only one can be utilized? Yes, both characters will be available at all times. You also have the option to give one hero commands whilst playing as the other hero. For example, when playing as Otto, you can ask Troll to stay behind, follow, call for help, pick you up, etc. but in the story, there will be times when they have been separated; but we don’t want to go into too much detail at this stage. What are your thoughts on developing for the Xbox One and PS4? How do they differ from the PC’s architecture? Our Spiral House Engine has been developed over the past 15 years, it has been cross platform since the beginning and adapted / re-engineered to each platform as it was released. The architecture, this time around, has been a lot closer than previous generations, getting the most out of a PS3 was a lot different than PC. I guess as an old analogy you could compare it to the IBM compatibles that came out in the early 80’s. Hundreds of companies were developing computers at the time, but only when conformity of IBM clones came along did the PC software market stabilize. The same is true for game developers, the closer the architecture’s across platforms becomes, developers can focus more time on game code and worry less about the differences between platform architecture. Will the game run at 1080p and 60fps on both the consoles? Troll and I is currently targeted at 1080p / 30fps on both consoles. The 30/60 fps debate has been ongoing, and for some 3D action games, especially ones such as Troll and I where you want to also tell a cinematic story, 60fps may not give you the best viewing experience. Take the 50fps release of ‘The Hobbit’ in cinemas, a lot people did not like the feeling it gave them after watching. This doesn’t take away the fact that running at 30fps has other benefits as well, mainly twice as much CPU and GPU time. 60fps is essential for some games, but in our case 30fps was favoured for several reasons. If you want to keep on top of the latest news then you can follow us on Facebook, Twitter, and check out our websites and forum! We would love to hear the public’s views.